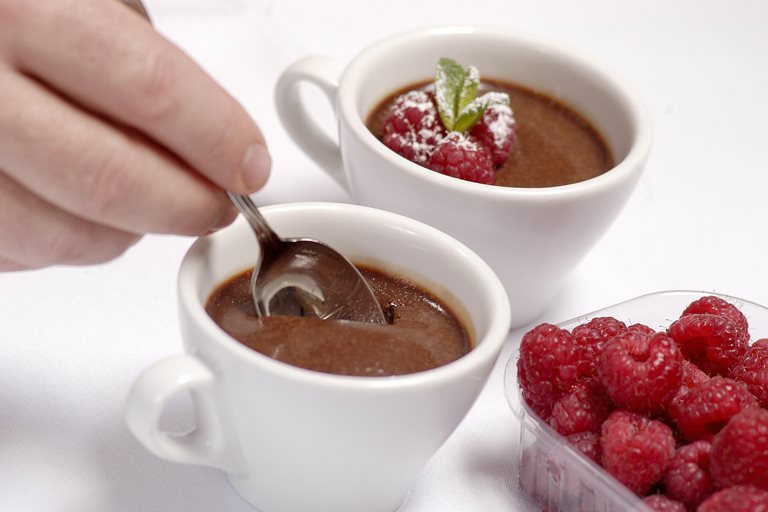 This chocolate pots recipe is really easy to make and provides a truly divine result, especially when served with fresh raspberries. Paul Heathcote recommends leaving the chocolate pots in the fridge overnight to chill but the recipe could easily be made on the day. You can use ramekins, espresso cups or any other suitable container for your chocolately pots. Pour into 4 small ramekins and chill for at least 2 hours or preferably overnight.